* Unable to finance your studies? * qualified in level 6 Mathematics & not Maths Literacy? * A South African Citizen? If the answer is “Yes” to ALL of the above questions, then you could qualify for this bursary. 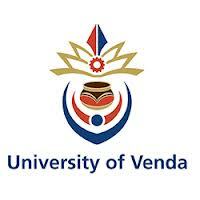 You need to apply to Univen by 10th January 2014. Once the learner has met all the above requirements and gone through the relevant tests and interviews, this learner will advance to the stage where the bursary will be provisionally awarded to the learner, pending the final Grade 12 results. To visit Univen’s website, click here.